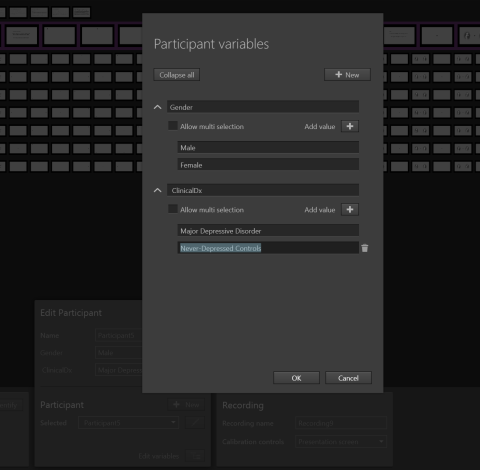 To create you Participant Variables in Pro Lab for wearable-based projects, open the Tobii Pro Lab sample project- Wearable study. Let’s again suppose that we are interested in whether males compared to females show different visual strategies when selecting a hair product and age affects the choice of brand. Therefore, we again end up with two participant variables of interest: Age (<20, 20-29, 30-39,40-49 and >50) and Gender (Male vs. Female). To make a heat map of gaze behavior for a "young shopper" group, open the Visualization tab under Analyze. 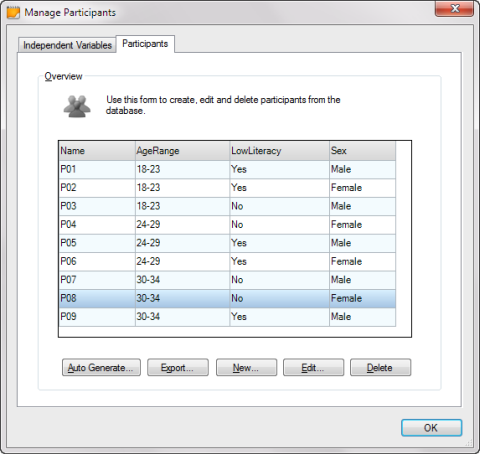 Under Participant Data, check <20 and 20-29. This will display the heat map for "young shoppers" only. If you were to select "young shoppers" and Female, a heat map would display only participants who were female and "young". 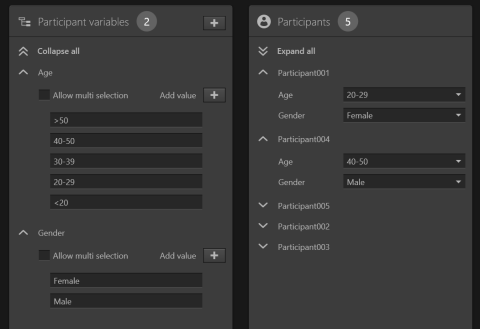 Note: Among the values created for a variable an additional value “not specified” is automatically generated when the project contains participants that were not assigned a value. This selection of participants works similarly in the Metrics tab. If you select only "young shoppers" (i.e. Ages <20 and from 20-29), you will be given selected metrics for "young" individuals. If you were to select Major "young shoppers" and Female, you would be given selected metrics for females with ages <20 and between 20-29. 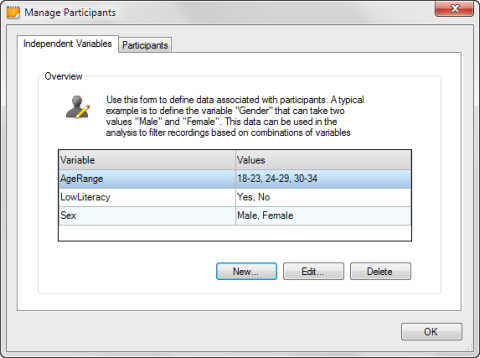 Importantly, when you export these metrics for further analysis, it is important to save your files with participant variable selection information in the filename. For example, if you export metrics for females only, a possible name might be DataMetrics_FemalesOnly. If you export metrics for "young" females, the filename might be DataMetrics_Females_Young.